Wow, where to start? The, Why Me? - Understanding and Managing a Potential Preterm Pregnancy - A Medical and Emotional Guide, book by Kelly Whitehead is surely the most comprehensive, thorough book on the topic of high-risk pregnancy and potential premature birth available today. While the book does not focus specifically on twin pregnancy, it still holds loads of valuable information for expectant twin moms. Why? Because, twin pregnancy is "high-risk". 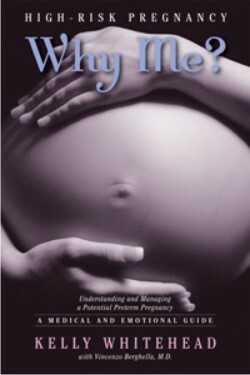 Many a mother carrying twins will be faced with some or several of the issues covered in Why Me?. First off, the book is written in a very frank, woman-to-woman style. It's not only easy to understand, but you really feel like someone is giving it to you straight and knows what you are going through. Some of the topics may be a little more difficult to take in than others but, as Kelly says, "If you're not ready, that's okay. Skip it!" What's important is that the information is available to those who want and need it. What Does My Cervical Length Mean? How Can I Check For Contractions? What Can I Expect During Delivery of My Tiny Baby? These topics just scratch the surface as to what is actually covered in the book, but you can get a pretty good idea. If you are experiencing a high-risk pregnancy I strongly recommend this book. It will bring you much needed knowledge as well as comfort during a time that can be extremely trying. This is an honest review and we have received no compensation. 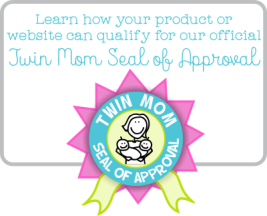 Home › Twin Pregnancy › Things to Consider › Why Me?